All else being equal, methenolone acetate is an excellent oral steroid drug. Unlike most other orals, it is not 17-alkylated and does not have liver toxicity problems. It is perhaps only half as potent by the oral route as by injection, so dosages need to be high, at least 100 and preferably 200-300 mg per day, but if that can be afforded it is an excellent drug. It is unusual among oral steroids as being Class I, binding well to the androgen receptor.The claim, however, that methenolone acetate tablets help burn fat, as a result of being acetate esters, is purely a myth. 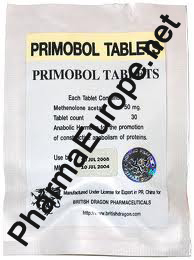 The compound has the same LBM-sparing properties when dieting as does injected primo tabs, which is to say, it is quite useful if dosage is sufficient.